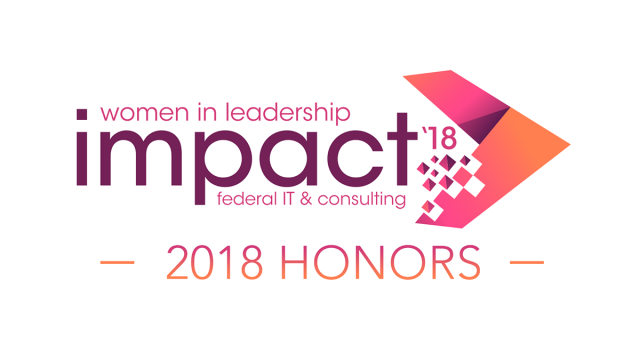 We asked you to nominate women who were guiding, mentoring, and driving the industry through their impactful leadership; driving technology and business transformation and modernization; and/or leading and embracing the change management required to initiate the next positive disruption that will truly change how Federal agencies support their mission. The nominations we received, representing Government and Industry, described women who are visionary and relentless, passionate about driving change and steering strategy, dedicated in their leadership, their guidance and the mentoring they provide. Nominated by their peers and selected by a diverse panel of judges, these women are Leading for Impact in Federal Technology & Consulting and were recognized on October 25, 2018 at the Women’s Memorial in Arlington. Lisa Wolff, President, Next Phase Solutions and Services, Inc.
Congratulations to all of these most deserving women!